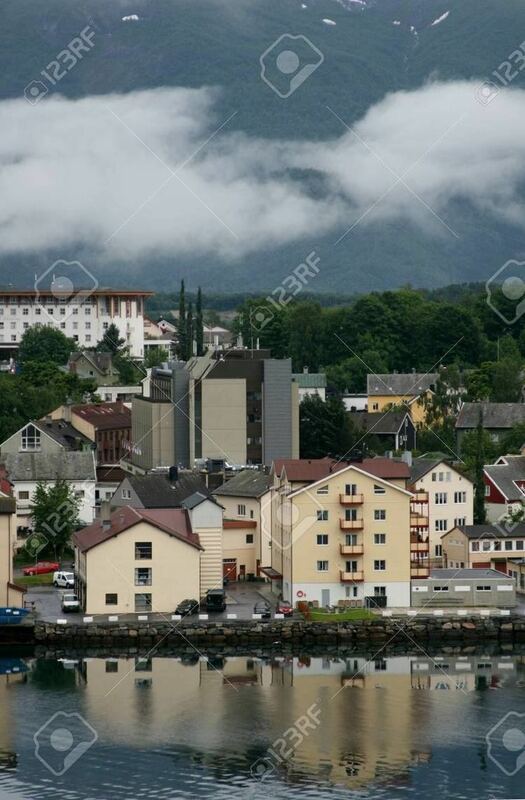 Åndalsnes is a town in Rauma Municipality in Møre og Romsdal county, Norway. Åndalsnes is the administrative center of Rauma Municipality. The 2.22-square-kilometre (550-acre) town has a population (2013) of 2,244, giving it a population density of 1,011 inhabitants per square kilometre (2,620/sq mi). 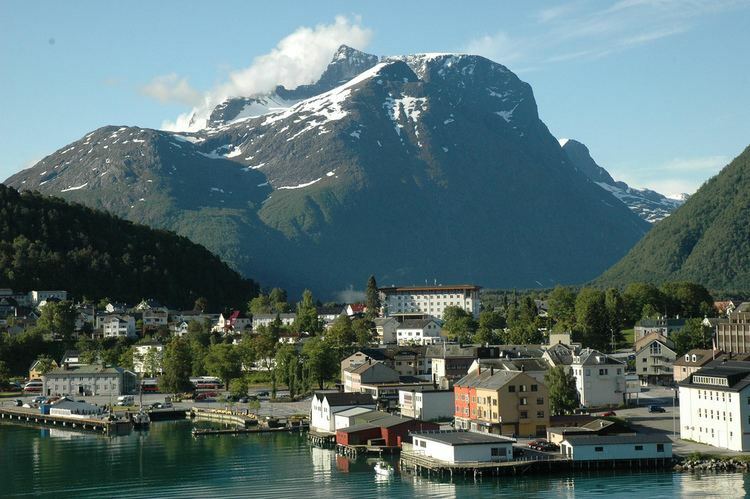 The village of Isfjorden lies about 7 kilometres (4.3 mi) to the east, Veblungsnes lies just to the west across the Rauma River, and Innfjorden lies about 10 kilometres (6.2 mi) to the southwest via the European Route E136 highway. Åndalsnes has an association football club, Åndalsnes IF. The local church is Grytten Church, but its actually located across the river in Veblungsnes. The town's newspaper, Åndalsnes Avis, had a circulation of 4,125 in 2007. The harbour is called "Tindekaia", and is visited every year by many cruise ships, including Costa Marina, MS Thomson Celebration, Costa Victoria, and Costa Atlantica—the biggest ship that currently comes to Åndalsnes. Åndalsnes is located at the mouth of the river Rauma, at the shores of the Romsdalsfjord, one of the first Norwegian rivers to host English fly fishermen in the nineteenth century. The river's salmon population is currently undergoing restoration after seeing strong declines in the 1980s following an infestation with the salmon parasite Gyrodactylus salaris. As many other infested rivers, the river Rauma is experiencing an increase in the population of sea trout. 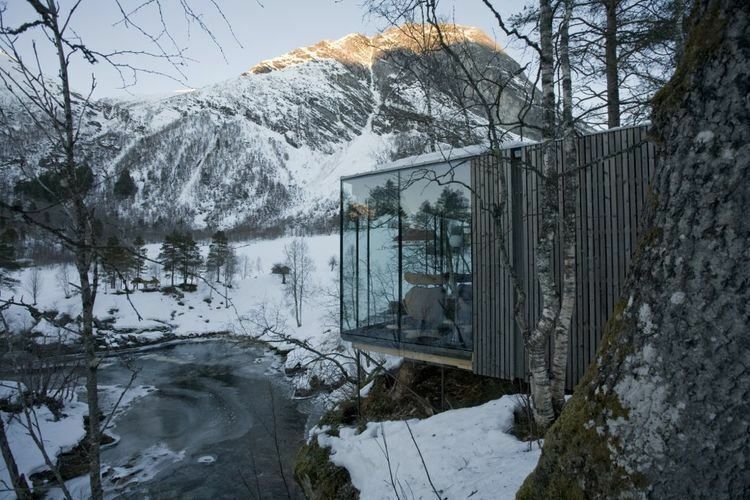 The river flows through the Romsdalen valley, which features some of the most spectacular scenery in the entire country. Trollveggen (the Troll Wall) one of the cliff formations in the valley, has a vertical drop of over 1,000 metres (3,300 ft). It was an early launch site for European BASE jumpers. The European route E136 highway and Norwegian County Road 64 both pass through Åndalsnes. County Road 64 heads to the towns of Molde and Kristiansund to the north and the E136 highway heads to the town of Ålesund to the west and to Dombås to the southeast. The Rauma Line terminates at the port of Åndalsnes, with bus connections to the nearby towns of Molde and Ålesund. After the German World War II invasion of Norway in April 1940, British troops landed in Åndalsnes as a part of a pincer movement to take the mid-Norwegian city of Trondheim. The northern arm of the attack was based in Namsos. Lacking control of the air, the forces at Åndalsnes were withdrawn in early May 1940. 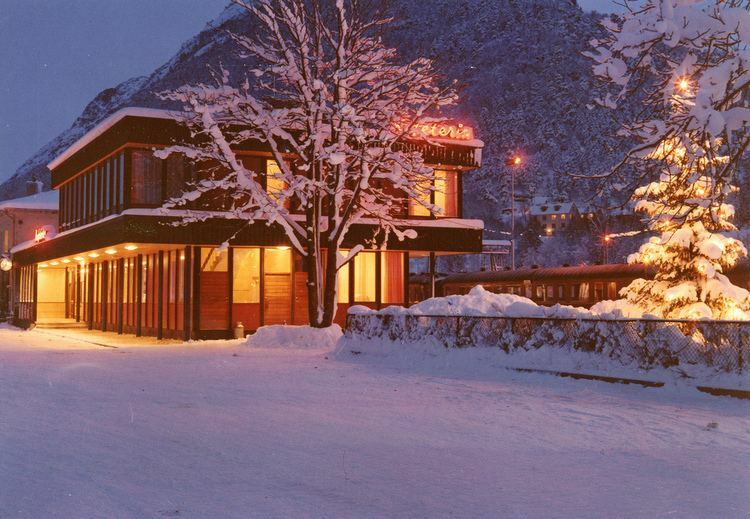 In 1996, the municipal council of Rauma Municipality declared Åndalsnes a town.